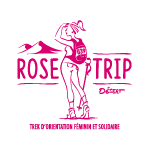 The Trophée Roses des Andes has been launched thanks to the professional expertise of Desertours who has been organising rallies for more than 30 years. 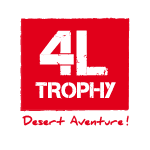 Their expertise has proven to be efficient during events such as the Raid 4L Trophy, an orienteering race designed for students that gathers more than 1000 vehicles every year in the Moroccan desert and the organisation members have thus decided to use their savoir-faire to design this unique rally made for women in Argentina. Behind the scene, we do everything we can to guarantee your security and to make this incredible journey in the middle of the Andes possible. First of all, the terrain reconnaissance is essential in order to design the road book, central element of an orienteering race. Before each edition of the rally, a specialised team goes to Argentina in order to make an evaluation of the possible itineraries and to improve them every year. It is one of the priorities to offer an exceptional and unique itinerary to the participants. No touristic tours offer to discover these regions of the Argentinean Altiplano, la « Puna », the name given to the highest plateaux of the Andes where you will discover natural and protected treasures that are very difficult to discover without a professional guide. During the race, the extensive technical and media mobilisation as well as the numerous staff guarantees an exceptional and accessible event. The security measures include about 50 people, 11 staff members who take care of the logistics and follow the rally, 10 mechanics, 2 doctors specialised in emergencies, local staff members and a people in charge of the media coverage. 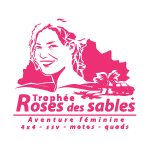 the PC Race is the essential element of the security of the Trophée Roses des Andes, it is the control tower of the event: its members follow permanently the participants on their screens thanks to specially created software. the vehicles are equipped with a geolocation device, thanks to which the PC Race can follow them at any time. The cutting edge of technology satellite equipment contributes to the optimum support of the medical and mechanics team. the Photographs (Flashsport), cameraman, film makers (3122 Production) and journalists cover the entire race and guarantee the daily broadcasting of various films and photos. They have access to special logistic and technical support during the race and in the bivouacs (drivers, media area and Wi-Fi access) so they can offer you a daily coverage of the participants' race. In the bivouacs, the emphasis is put on the wellbeing of the participants in a typical environment, respecting the local culture. The rally offers a real immersion where the contact with the local population and the relations between the Roses is a priority, each night offers an opportunity for the Roses to get to know each other better. The organisers of the Trophée Roses des Andes wish to make you discover this extraordinary region of Argentina while preserving this precious environment. That is why off-track is not permitted in the protected areas and the itinerary indicates imposed sectors in order to respect the fragile environment and the local population. This ecologically responsible approach encourages also the pilots to adapt their behaviour to the beauty of the landscapes, by limiting the speed and thus the impact on nature that is breathtaking in this region.